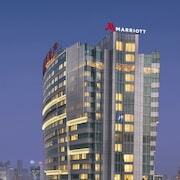 Book an adventure to Shanghai and explore China’s east coast. This highly populated city sits roughly halfway between Guangzhou and Beijing. A holiday in Shanghai could mean a ride on the Maglev—the world’s fastest train—or a stroll in Fuxing Park. Take a step back in time and learn about the city’s history at the Shanghai Museum, and find some peace and quiet at the Jade Buddha Temple. While you’re visiting, sip tea at Yu Garden, make a splash at Shanghai City Beach, and scan the skyline for the Shanghai World Financial Center—one of the tallest buildings in the world. From sampling the local cuisine to browsing the markets, you just might end up extending your stay. 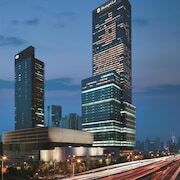 At Expedia.co.nz, we feature a wide range of Shanghai accommodation that will meet and exceed all your travel expectations. Check out our listings to find places near the Bund’s boardwalk or the financial district in Lujiazui. Whether you’re in search of a Shanghai airport hotel or something closer to the city centre, we’ve got just what you’re looking for. Travelling by air? 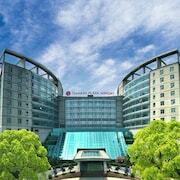 Book your flight to Shanghai Pudong International Airport (PVG), which is roughly 40 km southeast of the city centre. To get to your holiday spot, hire one of our Shanghai rental cars in advance, take the Maglev train, or hop in an airport shuttle. Taxis service the airport terminal, too. 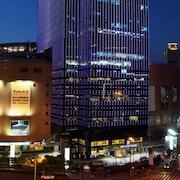 Deciding between a comfortable motel or luxury hotel in Shanghai? Regardless of what you choose, we’ll help you score a cheap deal on your lodging. 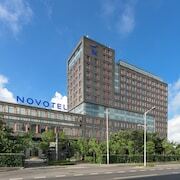 In addition to providing you with discounts on Shanghai hotels, we also offer low rates on airfare and rental cars. There’s no need to spend a fortune on your holiday, so book with us, and have more money to spare on your adventures in the People’s Republic of China. 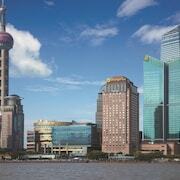 Explore Shanghai with Expedia.co.nz’s Travel Guides to find the best flights, cars, holiday packages and more!